Job searching has changed significantly over the past ten years, five years, and three years, and it continues to change and evolve. Since the economic downturn of 2008, we have seen a number of growing trends in the way companies now approach hiring – it’s about saving time and money now more than ever. More and more jobs are offered on a part time basis. Job sharing and contractual offers are on the rise with contracts ranging from one to six months, more or less. Outsourcing is also a common practice and the nature of the workforce is ever changing. The key to success is often the ability to adapt and as job seekers of today, it is up to us to think outside of the box and use innovative approaches to our job search. Yes, it is true that there aren’t as many permanent positions as there once used to be, but with that said, we can also take a page out of the entrepreneur’s notebook and start marketing ourselves in a different light. Most of us spend 90-100% of our job search in front of a computer, only applying to advertised positions when in fact most companies post external postings close to the latter stages of recruitment. Most of the recruitment happens through internal hiring, referrals, networking events and opportunities, and social media recruiting before the focus shifts on external hiring through postings. This is why we often find ourselves interviewing for positions that are nearly or almost close to filled. It is important to start thinking of how you can meet an employer at the early stages of recruitment and the key to this lies in networking effectively. Job search is a multifaceted approach and includes more than just a resume, cover letter, and good interview skills. It is about motivation, having the right tools like business cards and proper email etiquette, being persistent, using social media tools. The important thing is to employ many methods to your approach. Part of this strategy includes developing a brand for yourself that represents you as the marketable resource in the skillset/industry/field that you want to grow in or are already experienced in. Many of us are not comfortable calling ourselves experts in any given topic, but the truth is that we are all on our way or possess a talent with which we passionately or skillfully identify with. You may be an emerging enthusiast, a specialist, even an expert if it means having the educational background and related experience on any given topic. So why not start marketing ourselves as this emerging specialist? Be the expert and leverage your wealth of experience and education. Our identities are not tied with our companies but rather with our skills and education. Next time you are out at a party an someone asks you “so what do you do?”, will you answer with “unemployed” or will you tell them about what you study, your experience and expertise and your passions? Sure, at the end, you can state that you are looking for opportunities in the ______ area. Appearing on recruiter’s radars: social recruiting is on the rise and will continue to be as this saves time and money for companies; you never know who is looking at your LinkedIn or Twitter profile! There is no reason why we cannot market ourselves and our skills and develop a brand online as this allows for opportunities and individuals to come to us and recognize our talents. This approach can and should be used in addition to applying to jobs the conventional way. What are my best skills and areas of interest/expertise? What kind of audience/demographic do I want to work with? What is the best way to reach this audience? What kinds of social media channels are they using? What is my primary method of contact/communication and is it available for all to see online? 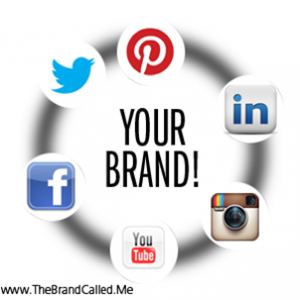 What social media channels will I employ for marketing my skills and abilities? Is a website more suitable? A blog? Or can I just use Twitter and Facebook to market my skills? Already have a Twitter, Pinterest, Facebook, etc. and not sure where to start or which direction to take? Have a look at this excellent article by Alex Honeysett for The Muse where she explains how to organize your social media strategy and gives some great tips on which app may be best suited to various interests. Your disability: are you comfortable with disclosing online? If so, are you an advocate and are you still focusing on your skills and abilities and inspiring positive change, or are you spending time complaining and venting online which can negatively affect your image? What accommodations do you require from potential employers and services? What accommodations do you use for yourself? What industry to you see yourself in? Are there better practices established for persons with disabilities? If not, what are you doing to ensure and promote diversity and inclusion? If you worked for or owned a dream company, what would the work culture look like? Is it disability friendly and how would you educate and train others? What is the nature of your occupation? Mobility/accessibility: are you comfortable travelling to events or are you limited to travel? The list above is just an example of some factors to note as you create and develop your brand. A very important point to note is your attitude. Regardless of different and varying abilities, are you focusing on solutions and marketing your abilities or are you using your online image as a means to complain and vent – things that are better suited to friends and/or therapists/counsellors. Your online brand is a chance for you to market your skills and abilities and to advocate (if you so wish) on behalf of the community who identifies with having a disability and is currently inciting change in the workplace culture through diplomatic tactics that focus on education and empowerment. Whether you disclose your disability or not, the focus of your brand should still be your skills and abilities. Looking at the details, consider how your disability will impact your branding and networking strategy on a day to day basis? If you identify as someone with vision impairment or loss, do you face the person when speaking to someone by following their voice? Do you have reliable sources who can coach you on your attire and online image? Are you using social media tools to create dialogue and network effectively? Social media doesn’t have to be a chore – in fact, these websites and applications sometimes have added advantages from an assistive technology standpoint. If you are someone who identifies with the deaf community, are you communicating your goals and marketing your skills and lived experience using online tools and technologies? This can be a great source for employers as well as to advocate for the creation of a more inclusive workspace. In the end, it is all about marketing and what better way to market yourself than to market your skills, abilities, and lived experience through the plethora of tools available in the online world. The tools are there; the rest is up to you!